WKU Libraries Professor Haiwang Yuan’s book Tibetan Folktales recently received an Honorable Mention in the Special Storytelling Resources category of the 2016 Storytelling World Resource Awards. Yuan coauthored the book with Awang Kunga, who is a native Tibetan, and Bo Li. Its publisher is Libraries Unlimited, an imprint of ABC-CLIO. Incidentally, another of Yuan’s books Princess Peacock: Tales of Other Chinese Peoples won the same recognition in 2010. For more than 20 years, the Storytelling World Resource Awards Program has a panel of judges who evaluate new books in the field and identify outstanding works to help storytellers connect with the resources that will be most impactful for their practice. 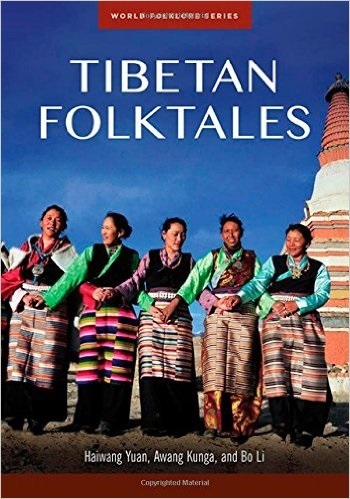 Tibetan Folktales contains more than 30 traditional Tibetan stories that give readers a taste of the land, people, culture, history, religion, and psyche of this remote region. 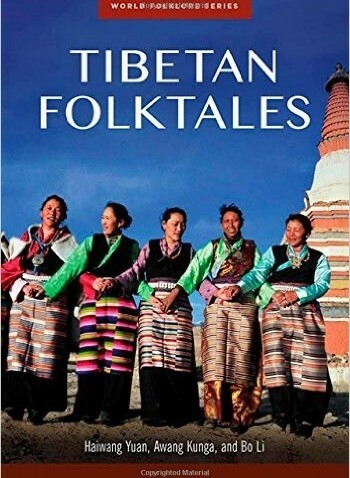 The tales are gathered from contemporary Tibetan storytellers and translated from written sources that represent a rich oral and written literary tradition. Yuan has been a member of Western Kentucky University’s Department of Library Public Services for 19 years. He has edited, authored, and contributed to several books and dozens of articles. Visit TopSCHOLAR to learn more about his works and his website about his other creative activities.